With the superior air conditioning technicians that we employ in the Sanford area, DC / AC Air Conditioning and Heating is ready to serve Sanford residences and businesses with integrity. We take pride in providing the excellent Sanford air conditioning repair that our community needs to keep cool and comfortable. The AC repair Sanford trusts is there for you, reliably and consistently. We live here too, and we understand how miserable it can get when your air conditioning malfunctions just when you need it most. In addition to hiring and keeping the best technicians, we strive to always keep them up-to-date on all the latest best practices in air conditioning and heating repair and maintenance. 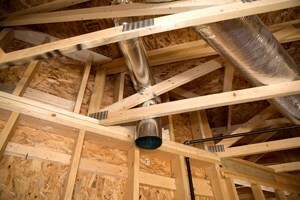 We do this to reliably give you the best AC service Sanford residents can find. We’ve worked tirelessly to earn the trust of Sanford residents and businesses and we never take that trust for granted. It’s really pretty simple. When you call us for service, we’ll be there for you to deliver the affordable AC repair Sanford needs, guaranteed. 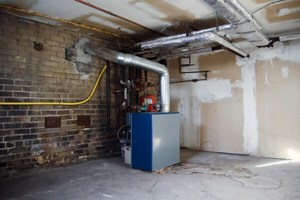 We feel sure that you’ll love the work done by DC / AC Air Conditioning and Heating. Our highest honor comes from the positive feedback we receive and it also comes from our customers recommending our service to others. When your home becomes hot due to a malfunctioning air conditioning system, we want you to know you have a partner who keeps your interests at the forefront. We will reliably be there for you with periodic AC checks, parts replacement, exceptional service and repairs. Should the situation arise where you need to have your air conditioning replaced with a new, technologically advanced system, rest assured that your professional technician is knowledgeable and fully capable of replacing your air conditioning system. 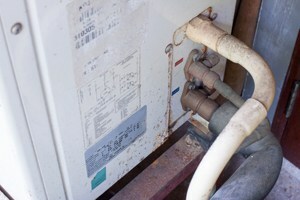 The residential AC repair Sanford FL relies on has acquired a reputation for outstanding knowledge and excellent work. 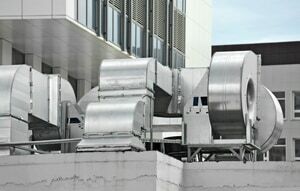 You’ll be happy to know that air conditioning systems today are green and environmentally friendly, so you know you’ll have the most positive effect on the environment. If you need a new system, we think you’ll be impressed with the advances that have been made in today’s cutting edge new air conditioning systems. We’re happy to inform you of all the advances made in energy efficiency, the meanings of energy ratings, and smart ways you can use your new air conditioning system to see the most savings on your energy bill. If there is an offer for a rebate on your new system, our technician will go over the paperwork with you to be sure you get your rebate. Whether you request the AC repair Sanford trusts for excellence delivered by DC / AC Air and Heat, or premium AC service, we think you’ll be impressed with the quality of our expert technicians and with the reasonable prices you’re quoted. We can provide services like system checkups, AC recharging, quality HVAC repairs, thermostat repair and replacement, and installing an entirely new system. You’ll be quoted a fair, budget friendly price. We take the time to truly listen to your needs and requirements for the AC service Sanford relies on for keeping homes and businesses comfortable. You receive personalized, custom tailored services. We think you’ll be so pleased that you’ll be proud to recommend us to your family, friends and co-workers.